15% of payments made by credit card are rejected! Customers fill up their shopping basket on your website and pay with cash in one of the 5 600 retail outlets. 15% of payments by credit card are rejected : YesByCash will allow you to retrieve bank card rejections. 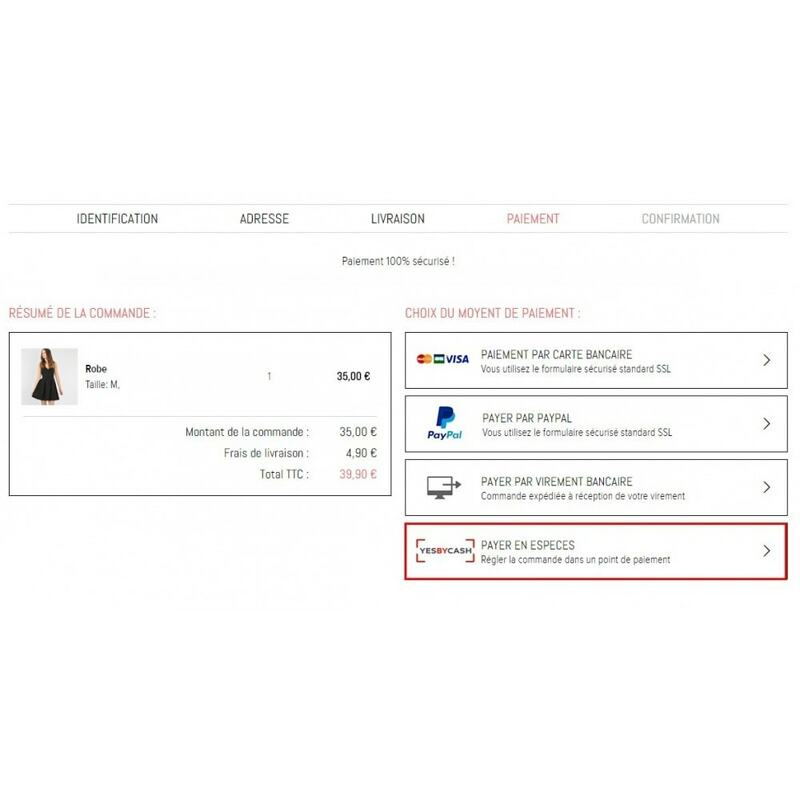 94% of French people are reluctant to see a hacking of their bank account: Boost and optimize your sales and marketing investments by reaching a new customer segment: reluctant payers. The customer fills up his shopping basket and chooses the YesByCash solution. He presents it to the retail outlet in order to pay his order in the time defined by the e-merchant. Finally, he receives his article. Propose an alternative to your traditional means of payment: 9% of French people who already knew a bank card rejection confirm that YesByCash responds to their needs. 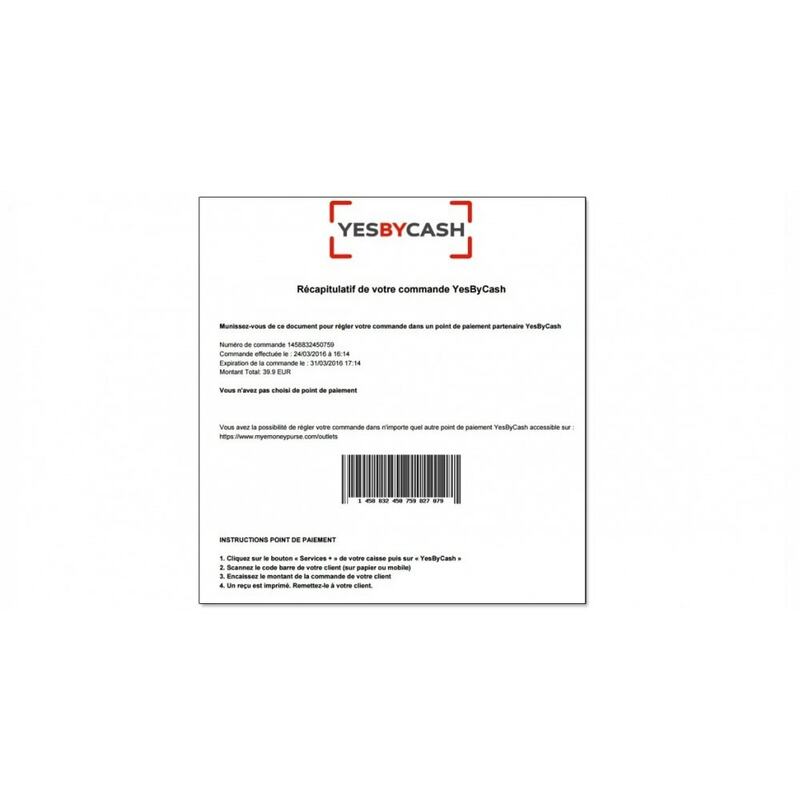 YesByCash enables customers to make online purchases in cash thanks to a huge networks of 5.600 retailers. YesByCash is aimed at people who do not have a credit card and/or who do not wish to use their credit cards on the Internet. Ideal in situation of mobility: works on all channels: mobiles, tablets, computers, etc. This module is compatible with all Prestashop versions. For any information about the installation, please refer to the documentation. More than one hundred e-merchants propose our solution… why not for you? This service needs a contract to be signed with Transaction Services International. Additional fees might be applicable. Let your customers directly collect their purchase in your local store.Your customers save shipping costs and you benefit of more customer traffic in your local store.Compatible with EU Legal.